UEFA should threaten to make Lazio play their next Europa League game behind closed doors if their fans are found guilty of making monkey chants, leading anti-racism campaigner Piara Powar said on Friday. Tottenham's Aaron Lennon, Jermain Defoe and Andros Townsend all appeared to be the subject of racist chanting during Thursday night's 0-0 draw against the Italian side at White Hart Lane. 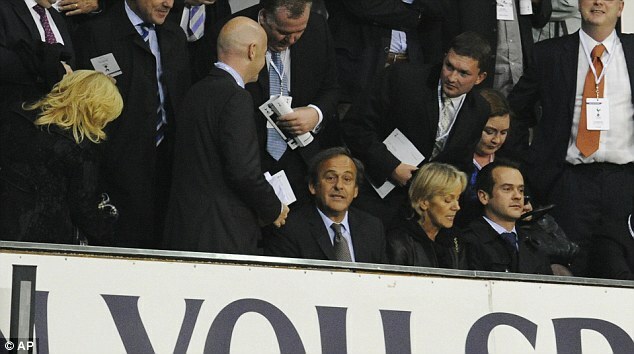 UEFA, whose president Michel Platini was at the game, are awaiting reports from the match delegate and referee Ovidiu Alin Hategan before deciding to take action against Lazio. Members of anti-discrimination group Football Against Racism in Europe (FARE) who were in the crowd at the north London ground, said they heard monkey chanting and they are now filing their reports to UEFA to help them with any potential disciplinary action. 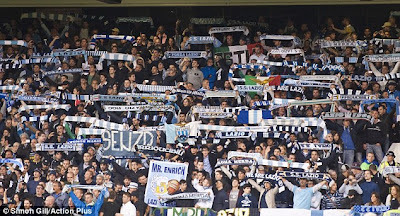 The group's executive director Powar thinks European football's governing body need to issue a tough punishment on Lazio to send a strong message to the club that racism will not be tolerated. Powar urged Spurs to put pressure on UEFA by submitting an official complaint against the Italian side, who they play in the reverse fixture in November. 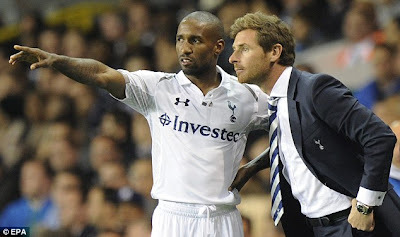 Tottenham boss Andre Villas-Boas also expects UEFA to investigate alleged racist chants from Lazio supporters aimed at striker Jermain Defoe and Captain on the night, Aaron Lennon during Thursday's Europa League encounter. Last season UEFA fined Porto £16,700 for their fans' racist abuse at Mario Balotelli and Yaya Toure, but then caused outrage by fining Manchester City £24,735 for being one minute late back onto the pitch after half-time during the Europa League clash.